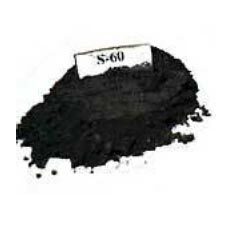 Some of the key users of the Graphite Powder (S-6) are the foundries and paint manufacturers, with the powder being used for coating in molds as well. The company is a highly distinguished Manufacturer, Exporter & Supplier of Graphite Powder (S-6), which has a fixed carbon content of 60-65%. The fineness measure of the Graphite Powder (S-6) can be specified as 200 ASTM mesh passing 90% min.